What I’m about to tell you is the most painful, traumatic, outrageous, outlandish, over-the-top story of government sanctioned police brutality, wrongful imprisonment, wrongful convictions, forced testimony, widespread corruption, money, lots of money, and deep, deep, deep soul-snatching psychological abuse in modern American history. I would not have believed it had I not seen it all for myself. The rabbit hole I am about to take you down is deep and twisted. It should lead to the termination of a whole host of officials. Many should be arrested and a comprehensive independent investigation should begin immediately. I receive hundreds of personal emails about injustice in America every single day. In mid-July, dozens of those emails were about a Bronx teenager named Pedro Hernandez. 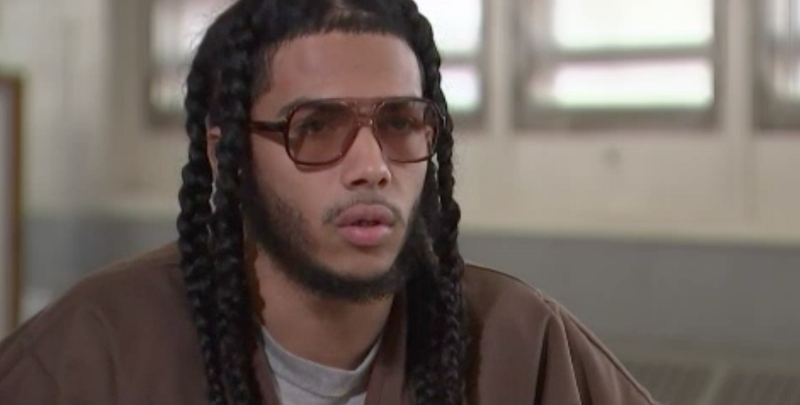 People all over the country had seen reports from Sarah Wallace of NBC New York or James Ford of Pix 11 on how Hernandez, who was jailed at Rikers Island, was running out of time to be released in time to start college. Hernandez had won awards at Rikers for his leadership and academic performance, and had also been granted a scholarship from the Posse Foundation to enter college this fall. Offered a plea deal from the Bronx DA’s Office to be released for time served, Hernandez did what few people in his position would do — he turned down the deal. Accused of shooting Shaun Nardoni, a neighborhood teenager, in the leg on September 1st, 2015, Hernandez was offered a ticket out of Rikers in exchange for admitting he shot Nardoni. The District Attorney even sweetened the pot and pledged to expunge his record in five years if he met all of the terms of his probation. Hernandez still refused to take the deal — continuing to pledge that he was completely innocent and would rather take his chances with a jury before admitting to something he didn’t do. For nearly a week, people emailed me about Pedro’s case before I finally clicked on the link to see what it was all about. Tory Russell, an activist and organizer from St. Louis, who I’d come to know from Ferguson, sent me a direct message on Twitter asking me if I could read the story and support Pedro somehow. I was on vacation with my family and it still took me another three days to finally read the story. I was hooked, but I had questions. As I Googled Pedro’s name and case, I saw several local reports that stated he had been wrongfully arrested and harassed by the NYPD for years. A guard at another facility was actually arrested and charged with criminal assault, endangering the welfare of a child, criminal obstruction of breathing and blood circulation, and harassment after being caught on film brutally beating and choking Pedro. Eight different eyewitnesses had all come forward to state that Pedro was not the shooter. Many even went so far as to identify the actual shooter. Why then, did Pedro remain behind bars? Why did it seem like the NYPD had it out for him? And how could the Bronx DA simultaneously believe that Pedro was safe enough to set free if he took the plea, but so dangerous, that if he didn’t, his bail would be set at an outrageous $250,000 with a stipulation that he not pay the typical 10%, but pay all $250,000 — effectively ensuring that he’d never get out on bail? That Pedro Hernandez, with the entire deck stacked against him, still refused to take a plea, hooked me. As I reached out to Pedro’s family, I was immediately struck by something peculiar. I’ve written nearly 1,000 stories about police brutality and misconduct and have interviewed hundreds of families suffering through the consequences of those things. Almost every single one of those families, particularly when they are still in a stage of grief or conflict, without fail, want to speak exclusively about their very specific case. Pedro’s family was different. They immediately wanted me to know that Pedro was not alone, but that he was just one of hundreds of victims whose lives had been turned upside down by officers from the 42nd precinct in the Bronx who were working in close concert with the Bronx District Attorney’s Office. The accusations were so sweeping and broad that I wasn’t sure how to process them. In mid-July, I wasn’t quite sure how much of all of that I believed. Now, I believe all of it –every single bit. How I got here wasn’t easy, but over the next five days I’m going to try to break it all down for you. Saying it all in one piece would be sensory overload. Trust me. The evidence is meticulous, overwhelming and undeniable. I’ll have to start from the beginning and give you the foundation for how any of what I’m going to be sharing is even possible. Today is the foundation, the next four parts of this series will not only expose the injustice, but will detail each case, the primary perpetrators, and who in the New York City government was aware that such corruption and brutality took place and did nothing to stop it. How you go to New York? What, you ain’t never took a tour there? What, you ain’t know you gotta be rich just to be poor there? He’s right. My wife and I know school teachers in New York who literally struggle to afford gas money or subway passes. What passes for “nice” in New York, would struggle to pass for that almost anywhere else. The poor and middle class have been pushed to the outer edges of New York City — deep into the Bronx or Brownsville and out of the central city of Manhattan and Brooklyn. Gentrification has caused Biggie’s Bed Stuy and Diddy’s Harlem to be heavily peopled by hipster white folk walking dogs and riding bikes. And what that means is that the methods of policing in these areas have changed drastically. Wherever huge numbers of white folk exist, the methods of policing change. Mind you, studies show that a higher percentage of white people actually sell drugs than African Americans, but African Americans are policed and prosecuted for those same drugs in a way that is altogether different for whites. Consequently, neighborhoods that were once hotbeds of aggressive policing just ten or twenty years ago now experience something far more humane from the NYPD — giving a few million people that live here the impression that police brutality must no longer exist in New York the way it used to. It does. Gentrification here means millions of us rarely see police brutality because it doesn’t happen in our neighborhood, but it’s happening, in precincts and districts that the privileged classes rarely visit, and it’s worse than you could ever imagine. Just three days after Donald Trump was inaugurated, New York City agreed to something that is so scandalous, so huge, that only the incoming presidency of Donald Trump could’ve outshined it. New York City agreed to pay $75 million (that’s $75,000,000) out in a police corruption case that should’ve rocked the city and the nation to its core. They likely chose that date and time on purpose. The case had been in litigation for years and years, but the city chose one of the most fragile, news heavy times in the history of modern American media to drop an absolute bomb. The city admitted that it was forced to dismiss over 900,000 arrests and summonses because they simply didn’t have the evidence to back them. These weren’t 900,000 stops that were made, but 900,000 legal actions accusing people of crimes that they did not commit. They were all bogus. Not 9,000. Not 90,000 — which seems like an outrageous number, but 900,000. Not only that, but the case actually had its very own deleted email scandal, where almost every single email Police Commissioner Raymond Kelly ever sent was deleted — never to be found again. Yeah, really. Here’s the $75,000,000 settlement with 900,000+ bogus cases. In the settlement, the NYPD refused to admit that they were using quotas, but did agree that they would send out updated notices to every officer and leader that they are banned. Mind you, that’s already been done many times before. 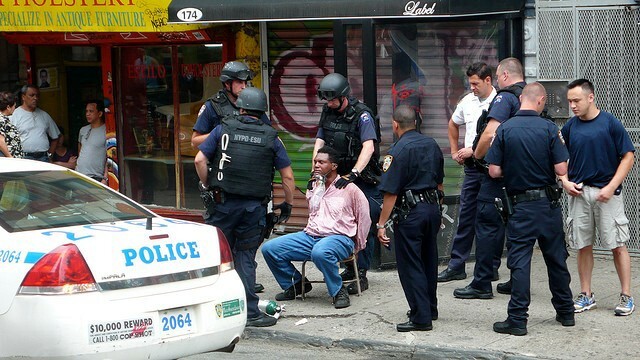 How in the hell does a city accumulate 900,000 false arrests and summonses? I’m glad you asked. Officers within the department have already spelled it out very clearly. To understand the misconduct, brutality, forced pleas, false witnesses, and corruption that I am about to share, you must first understand the unjust system that police officers themselves have bravely identified as being the root source of it all — arrest quotas. Yes, racism and bigotry and white supremacy, conscious or otherwise, are all essential underlying problems with policing in America, but arrest quotas, or the departmental demand that each officer has a certain number of arrests, preferably with certain types of crimes, on the backs of certain types of people, are the vehicle that allows America’s worst instincts to wreak havoc on the lives of everyday people in New York. 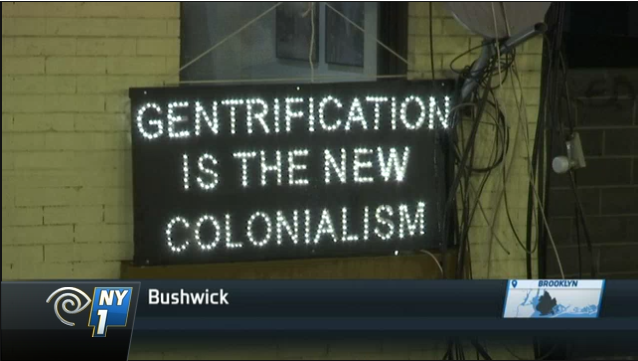 Gentrification has essentially pushed these horrible practices out of the eyesight of New York’s privileged class and the victory of Stop and Frisk being cut down gave both the city and the NYPD false cover for something that is arguably far worse. The systemic foundation of the next four parts of this series was not set by me, but by heroic, award-winning officers within the NYPD who believed with all of their heart that arrest quotas, imposed on everyday cops by their supervisors, were not only deeply unjust for the hundreds of thousands of New York City residents affected by these quotas who are frequently targeted and arrested without cause, but that the system is poisonous for officers themselves — actually breeding the worst instincts of racism, brutality, and corruption from the top down. What I’m about to say could get slightly wonky, but I’m asking you to look past the legalese and understand that what we are talking about here are amazingly brave cops who put their lives and careers on the line to stand up for what they thought was right by not only speaking out against unjust practices within the department, but by actually suing the NYPD, their supervisors, and the City of New York to expose such things. I’m going to share five different cases with you that involve a combined 15 different NYPD officers who have taken the courageous step of filing suit to prove that the NYPD is illegally using arrest quotas. 13 of these officers are still currently working within the department. These are not jaded cops with an ax to grind. Filing these suits, while insisting on remaining cops within the NYPD, has made their day to day duty within the department a living hell. They’ve been harassed, ridiculed, and blacklisted, but have continued to push through not only because they love their jobs, but because they want to change the department from the inside out. I’ll start with the most recent case and work my way backwards. Read their full 49 page lawsuit below. It’s some of the most deeply compelling stuff you’ll ever read. Again, because this lawsuit of twelve courageous officers standing against injustice within their own department broke during the Trump campaign, it appears to have gotten lost in the shuffle. It gets no bigger than this case. 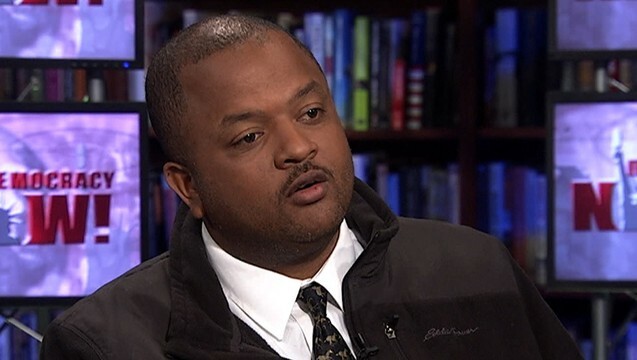 Also, please read “A Black Officer’s Fight Against the NYPD” by Saki Knafo. This article masterfully unpacks the story of Edwin Raymond, who serves as the lead plaintiff in this case as well as many of the painful stories of the eleven other black and Latino officers who tried to do right by changing the department from within, only to suffer serious consequences as a result. This is the most important lawsuit ever filed against the NYPD. It is currently up for review. Attorneys on the case, and officers who filed as plaintiffs, have each told me that the city has fought and delayed and stalled this case at every turn. The evidence of arrest quotas, and the mistreatment officers received for not meeting them, that they have compiled is both damning and undeniable. 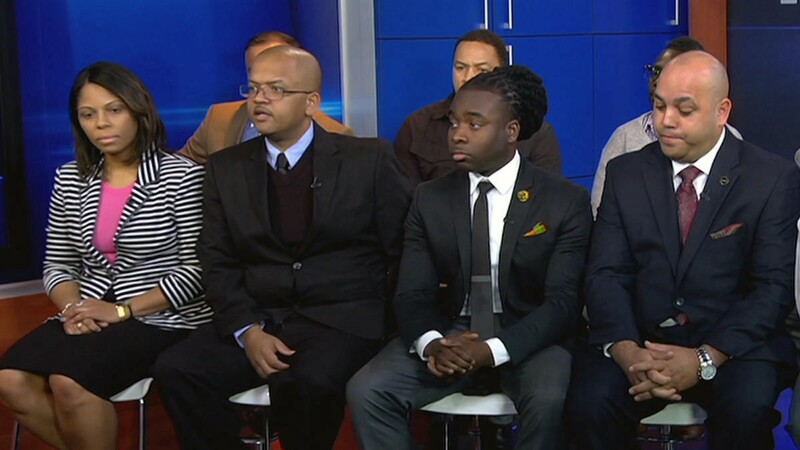 I’ve met personally with seven of the plaintiffs — all current NYPD officers. They’ve put their lives on the line by filing this case. These are high-performing cops. They loathe crime and want to make the city safe, but simply put their foot down when they were expected to make arrests and meet quotas whether they saw crime or not. The officers have, of course, recorded extensive evidence of the illegal quota system to back their claims. Here they are talking about it. You have to see this for yourself. Here is Sgt. Edwin Raymond speaking at length about the racial quota systems. Officer Matthews is not only a 19 year veteran of the NYPD, but has won award after award for his great work — including stopping a crazed shooter in Manhattan near the Empire State Building. 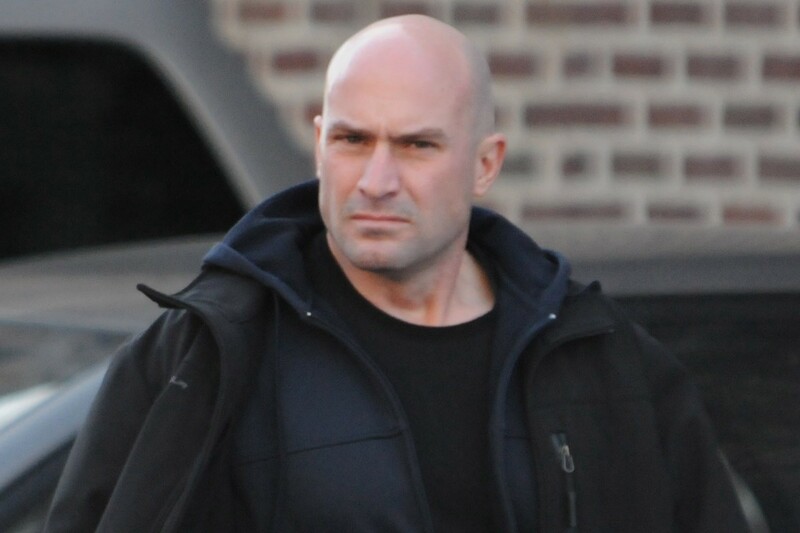 He was simply unwilling to arrest and charge people from crimes they didn’t commit — which is what the quota system in the 42nd Precinct was demanding officers do. 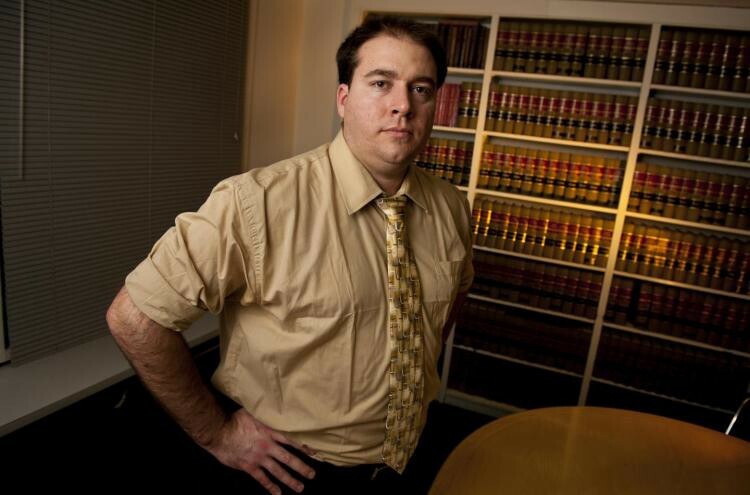 When Matthews began reporting to his supervisors that he was being asked complete false arrests and meet illegal quotas, the mistreatment began. He tried to work within the system and when that didn’t work, he was finally forced to file this lawsuit exposing the NYPD’s illegal quota system. See his full lawsuit here. It’s as compelling as it gets. Then New York City settled with Officer Matthews, who still works for the department. See that here. This man is a hero. In the same precinct as Officer Craig Matthews, Vanessa Hicks was being told that she, too, had to meet the arrest quota or suffer the consequences. 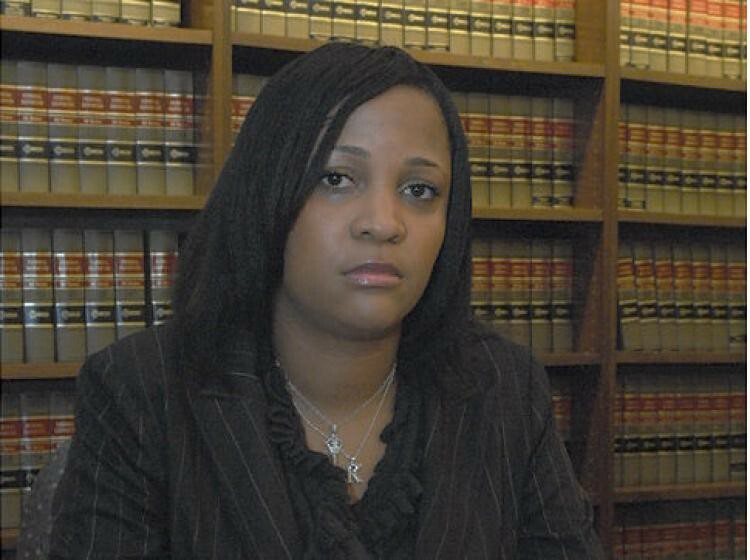 She had a strong career in the department, but the NYPD derailed her career after she refused to participate in the quota system with false arrests. Officer Adhyl Polanco, who still works for the NYPD, was a pioneer in exposing quotas, police misconduct, false arrests, and forced/coerced confessions within the NYPD. Like others, he attempted to work within the system and only resorted to filing a lawsuit when his supervisors began to directly threaten his career because he exposed corruption. You just need to read this case file for yourself. When Officer Adrian Schoolcraft exposed an illegal arrest quota system within the NYPD — including extensive evidence of the system from recordings and data collection, he was literally forced to stay in a mental hospital for a psychiatric evaluation. Yeah, really. When he fled the city to stay with his father in upstate New York, he recorded the police coming to his father’s house to harass him over and over again. After years of fighting back against the NYPD, the City of New York and Jamaica Hospital finally settled with him. All of this is to say that brave officers within the NYPD have made it clear that an illegal quota system, which relies on false arrests, false reports, and false confessions, drives the NYPD. We’re talking about a system that just had to throw out 900,000 bogus cases. This system, which must be exposed and rooted out, is the foundation of poor policing across the city. Police say this. It’s important to point out that because this isn’t a conspiracy theory from an activist or a hit piece from a journalist, today is about allowing the brave officers of the NYPD to describe the most critical problem they have for themselves. In these next four parts, we will show how arrest quotas have literally ruined the lives of family after family in one Bronx community and how the highest officials in the city have bent over backwards to conceal this unjust system. To be clear, this story has heroes, villains, and far too many victims.